The Southern Chester County Chamber of Commerce is pleased to announce Doug Doerfler of Genesis is the new Chairman of the Board for the Chamber in 2018. 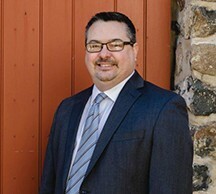 “Doug’s experience and leadership are an asset to the growing membership of our Chamber and we are thrilled to have him serve.” Cheryl Kuhn, President and CEO of the Southern Chester County Chamber said. New leadership brings new vision, and Doerfler is looking forward to sharing the success he sees for this year. “I want to continue the momentum that has begun and attract new members to the Chamber while serving our existing membership. I want to give them what they expect out of the Chamber and to meet their goals and objectives. I call 2018 the member-centric year because we are devoting ourselves to offering them the very best.” he said. “The Chamber has grown in leaps and bounds. It is now much more sophisticated with its committees, web presence, internal structure, and programming. We are a leader for the community! I am excited and humbled to serve.” Doerfler said.